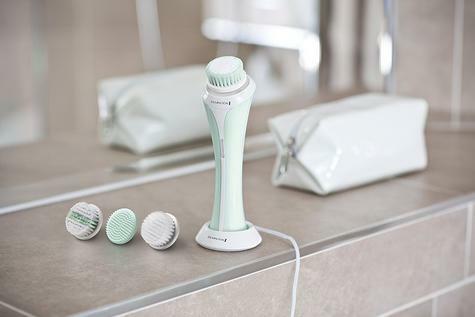 The Remington Reveal facial cleansing brush uses advanced cleansing technology to reveal naturally beautiful skin. With its dual action rotating and vibrating brush head, this deep cleansing action helps to improve the absorption of skincare products. Advanced cleansing to reveal naturally beautiful skin. 10 x deeper cleansing, radiant results in 60 seconds, works easily with your cleanser, 3 x brushes to suit all skin types (normal, sensitive, massage). 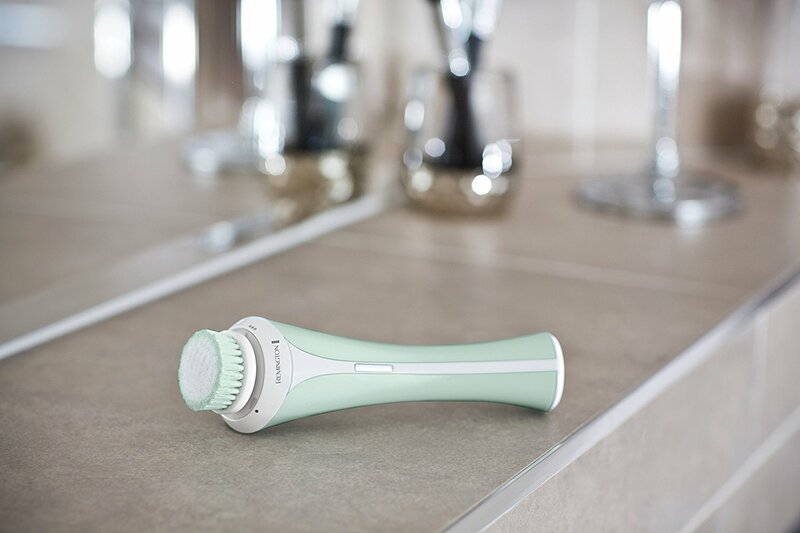 Get ready to show off naturally glowing and beautifully clear skin with the Remington REVEAL Facial Cleansing brush. 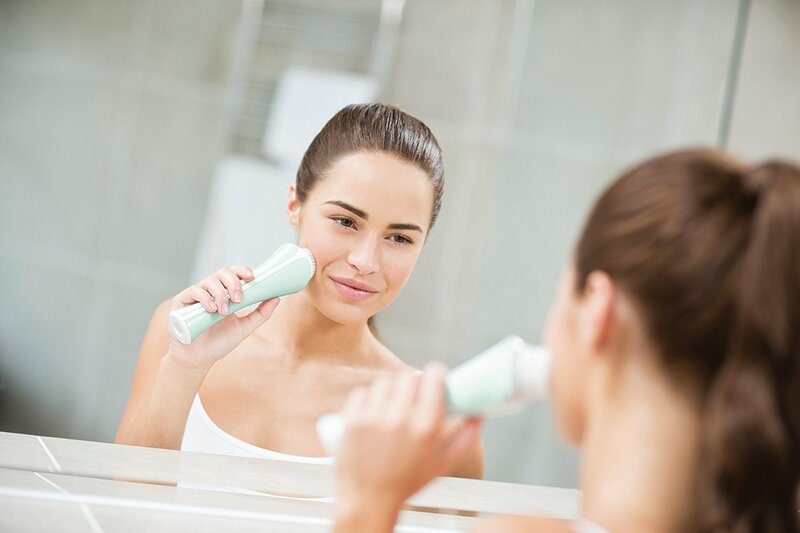 This beauty tool uses cleansing technology to breathe new life into your skin, leaving it feeling healthy, looking beautiful and glowing with radiance. This innovation in skin cleansing is super easy to use and will help you put your best face forward every day of the week. This beauty tool uses advanced cleansing* technology with deep cleansing action to thoroughly cleanse the skin and reveal naturally beautiful skin. 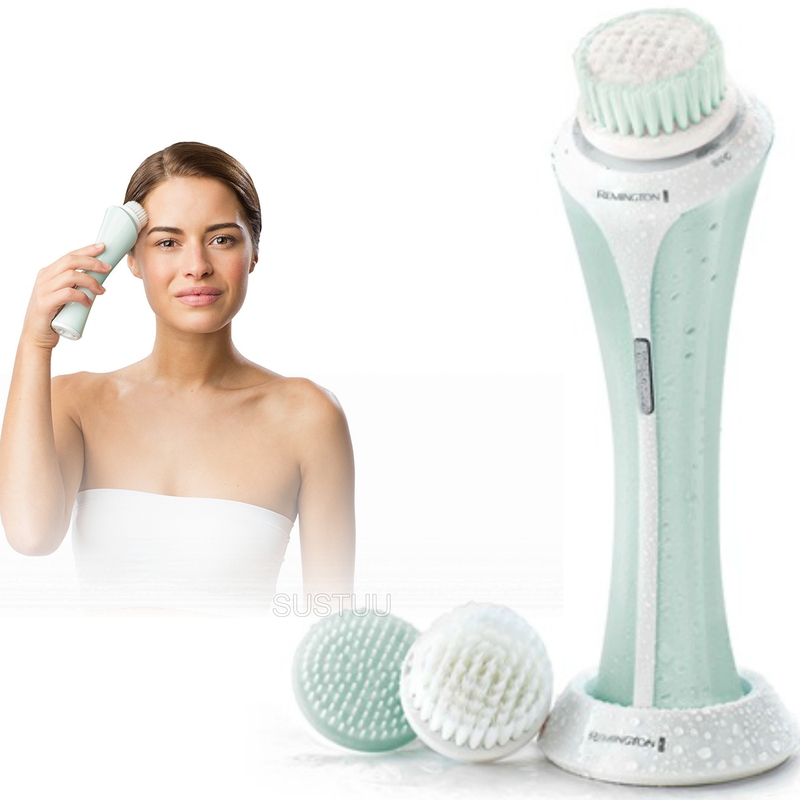 The beauty of this deep cleansing action means it gently removes any impurities that are trapped in the pores. Not only does this effectively cleanse and revive the skin, it also benefits your skincare regime and helps the absorption of skincare products to ensure they work their best. 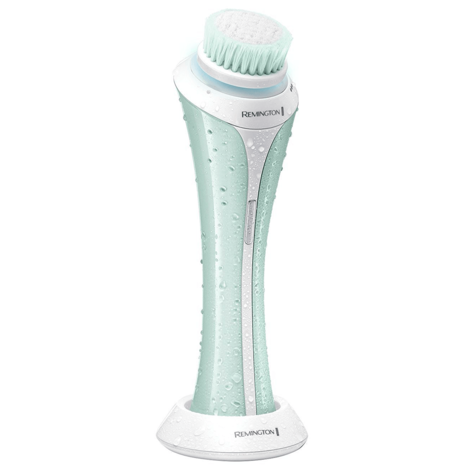 The Remington REVEAL Facial Cleansing Brush features a slim design making it comfortable to hold and easy to use. 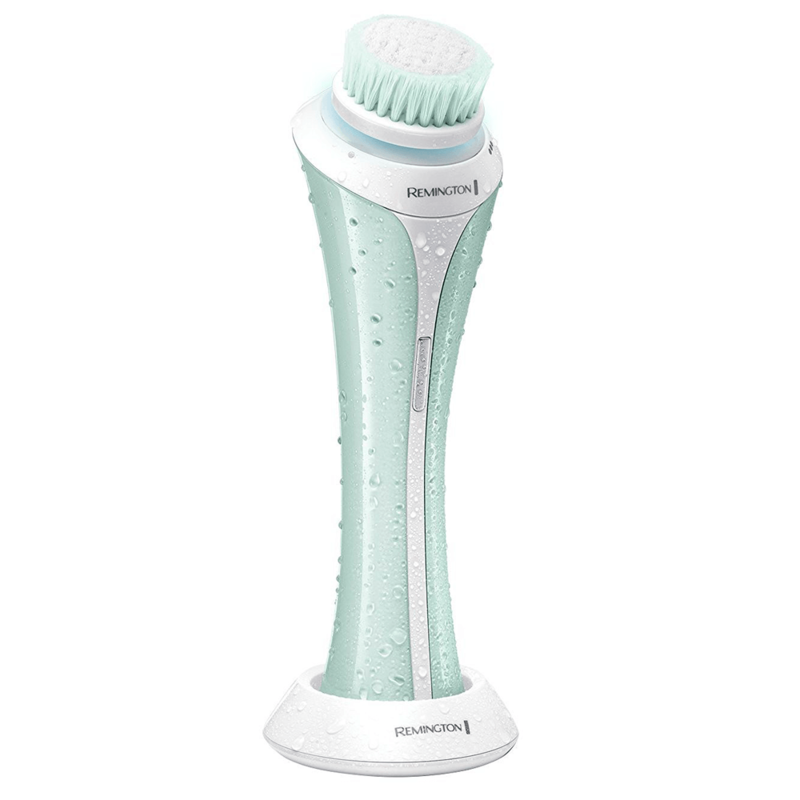 The brush head features dual action rotating and vibrating technology to optimise the cleansing process. In addition, this beauty gadget comes complete with a one-minute timer, which gently pulses every 20-seconds to help you move from one area of the face to another for deep, thorough cleansing of the skin. With three speeds, you can also select your preferred setting to ensure you are in complete control at all times. Not only that, after just one charge this device can be used up to 30 times. 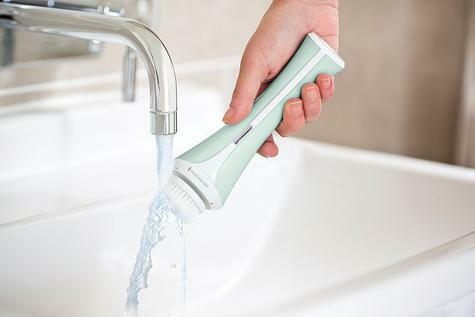 It is completely shower proof and washable, so using and maintaining your Cleansing Brush couldn’t be easier. Range of brush heads available for different skin types.